North Carolina Aggies coming to Hughes Stadium on Saturday to play my Morgan State University Bears on Saturday night. From the looks of things, it could be a nightmarish event for my Bears. The A&T Aggies might be coming in off victories of Mars Hill, Gardner Webb, and the University of Charlotte while my Morgan State Bears are coming in off a disastrous showing against Rutgers University today 65-0. The Morgan Bears have been outscored 101-0 against Towson, Albany, and Rutgers so far. The Morgan Bears has yet to score a single point so far in 2017. 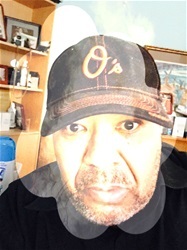 I remember, oh I remember the days as a kid reading the Afro-American Tuesday edition seeing the then Morgan State College Bears being unscored upon many games while Coach Earl Banks was at the helm and before Coach Banks, there was Coach Eddie Hurt. Of course, this was the period of the time period to integration and the white universities in many states locked their doors to athletes of color. You only saw a few black football players at maybe Ohio State, USC or UCLA but at other schools, blacks were null and void. Those were the days of football glory with coaches the likes of Robinson, Gaither, Banks, Merritt, Jeffries, and football players off the charts, so many future professional players to name and a huge number of both college and professional Hall of Famers. I know those days of glory are well past us now and must of these schools are struggling to even keep their academic doors open but boy oh boy it was fun. 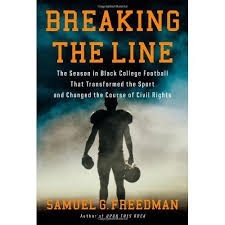 If you ever want to read a book that details the ending of the era of black college football dominance I would advise you read "Breaking The Line". This book tells the story of two coaching legends Eddie Robinson of the Grambling University Tigers and Jake Gaither of the Florida A&M Rattlers. The book details the breaking of the color barrier in college football which eventually meant the end of the superior black football player having only a choice of attending a black college. I read this book aloud on "A Blackman's Read Aloud Hour" and it was so much fun. Reading about how Eddie Robinson prepared James Harris at the same time to break the color line in National Football League for blacks playing quarterback. Reading about how Coach Gaither had three levels of practices that prepared his Rattlers for premium performance. I understand that those days will never return nor will those coaching legends return to the positions of power they held. These coaches controlled so much of the university's athletic as well as academic direction. National Football League scouts knew that they needed only to attend some team's practices to gather the best talent white of black in the nation. I refuse to cry over the spilled milk of one-sided integration but we gave up so much on May 17, 1954, when the Supreme Court ruled against "separate but equal", considering it was never equal in terms of resources but separate only in terms of color. What if the NAACP had only fought harder for equal funding more than fighting to integrate the separate facilities? Would the superior black athletes have considered continuing to attend these schools with resources equal to that of the white schools? Tell me again how did integration produce the results it had intended? Or is what is happening in terms of economic disparity in the black communities what was actually the result intended. We got sucked into a situation where the rules were set by parties not willing to actually share power. So white people with bad intentions destroyed what was great in our world for the betterment of their world. They left us searching for an identity that we had already developed.